What Should I Choose – Indica or Sativa? “Dr. Russo: There are biochemically distinct strains of Cannabis, but the sativa/indica distinction as commonly applied in the lay literature is total nonsense and an exercise in futility. One cannot in any way currently guess the biochemical content of a given Cannabis plant based on its height, branching, or leaf morphology. The degree of interbreeding/hybridization is such that only a biochemical assay tells a potential consumer or scientist what is really in the plant. It is essential that future commerce allows complete and accurate cannabinoid and terpenoid profiles to be available. So, the question then becomes, “which variety of cannabis plant has the cannabinoid-terpenoid profile I’m looking for, what sort of environment do I need to grow it in in order to get this profile and how long do I need to flower the strain for to get the effects I want?” Sadly, there’s not any one way of knowing for sure, and the only way to tell is by using the same strain in small amounts a few times, trying many different strains and finding the ones that suit you best. For those who are growing at home and need to keep things small and discrete, autoflowering strains of cannabis can be used, but there is some debate concerning their overall cannabinoid content (although ruderalis plants seem to be high in CBD). The taxonomy of cannabis – it’s a difficult issue. So, do we agree with Dr. Russo’s statement? Due to the amount of crossbreeding and the fact that the same strain name can produce phenotypes with distinct cannabinoid and terpenoid profiles, Dr. Russo is what we might call “mostly correct”. However, there does seem to be some sort of pattern. 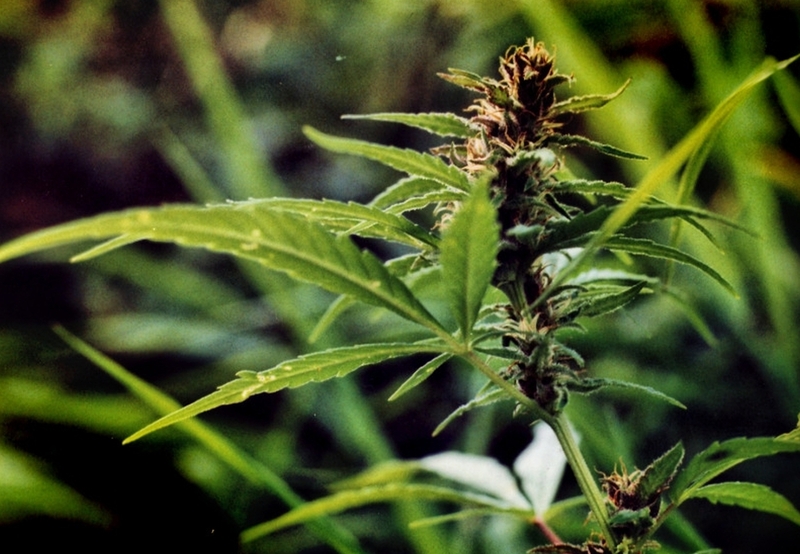 Indicas are likely (although not always) to have higher amounts of CBD and myrcene in them, whilst sativas tend to produce less CBD and, in the case of equatorial sativas, more THCV. However, we are not here to debate the taxonomy of the cannabis plant and the way botanists define things. 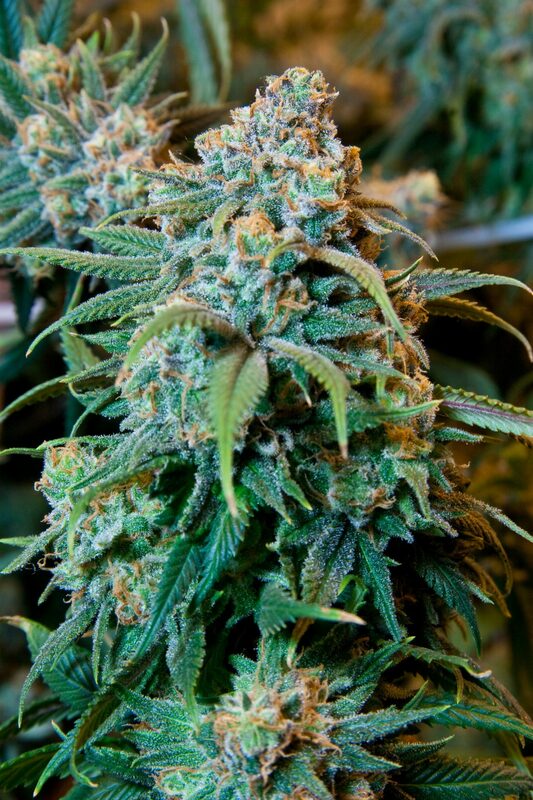 We would like to introduce you to some of the best strains from the best breeders. Most of these are grower, time and user-tested. Wherever possible, we have selected varieties from standard, reliable breeders. However, we should be careful of applying the term “medical” to any strain, as 1) almost any strain could be “medicinal”; and 2) there is no definitive evidence on any particular strain’s or strains’ efficacy for a particular ailment or condition. Much of what we have written here is based upon patient reports gathered from a number of sources, including Leafly.com and searching various forums, such as the Mr. Nice Forum and UK420.com, as well as seed breeder forums and descriptions (which can be more marketing gimmick than reality, unfortunately, but things are changing!). Now, we do not know for definite if any of the below are the “best” or “more medical than other strains out there” – our list is based upon what we’ve found many growers and breeders in the cannabis community say themselves. Please note that this list is not exhaustive but a guide of some of the best/most stabilized strains from some of the best breeders. For a more extensive look, check out the breeders and seed banks themselves (and start growing your own), and have a look to see if there’s any particular strain you might prefer. Please remember that some indica hybrids may, on occasion, have sativa phenotypes (and vice-versa). This means that you could grow a sativa strain and end up with a plant with an indica effect. The environment the cannabis plant is grown in has a significant impact upon the terpenoids and cannabinoids expressed by any particular cannabis plant. There are also some great, lesser-known, underground breeders that we may not know of, or who are local to the area they breed and grow in, creating some amazing cannabis varietals. There is a lot of politics in the cannabis growing community, especially as there are many arguments over who created what and when, as well as the quality of the seeds. Our findings suggest that, yes, there are some breeders who are more open, honest and trustworthy than others, but also that many breeders will have a few excellent strains, and a lot of not-so-good or unstable ones that either require time and patience to grow, or are simply a way of making an easy buck with a interesting-sounding name. We want to avoid such politics, and simply try and point you in the right direction and hopefully get you to understand the cannabis plant and its effects a lot better. We have split the lists into Breeder, Strain Name, Genetic Background and Effect. Effect: Relaxed, happy, sleepy. Stress, insomnia, pain, muscle spasms, inflammation. Euphoric, relaxed, sleepy. Pain, stress, depression, insomnia. Relaxed, happy, sleepy, euphoric. Pain, insomnia, depression. Relaxed, happy, euphoric. Pain, stress, muscle spasms. Relaxed, happy, sleepy. Insomnia, pain, stress, headaches, depression. Relaxed, happy, sleepy. Pain, stress, depression. Relaxed, sleepy. Pain, muscle spasms. Relaxed, sleepy, weightless. Pain, insomnia, muscle spasms. Relaxed, happy, sleepy. Stress, pain, depression. Relaxed, happy, sleepy. Stress, depression, pain, nausea. Happy, focused, uplifted, relaxed. Stress, pain, depression, eye pressure. Sleepy, relaxed, weightless. Pain, insomnia, inflammation. Relaxed, euphoric, happy, uplifted. Pain, stress, muscle spasms. Sleepy, relaxed. Pain, insomnia, muscle spasms. Relaxed, happy, sleepy. Pain, stress, lack of appetite. Relaxed, euphoric, tingly. Pain, stress, insomnia, nausea, depression. Relaxed, happy, sleepy. Insomnia, depression, headaches. Relaxed, happy, euphoric. Pain, stress, insomnia, depression. Relaxed, sleepy, euphoric, happy, tingly. Pain, stress, depression, insomnia, nausea. Unknown. Cross between a US and Indian indica. Relaxed, euphoric, happy, uplifted, sleepy. Pain, stress, insomnia, lack of appetite, inflammation. Relaxed, happy, uplifted, tingly, sleepy. Stress, pain, depression, nausea, insomnia. Relaxed, happy, euphoric, sleepy, hungry. Stress, depression, lack of appetite. Relaxed, happy, sleepy, euphoric, uplifted. Pain, stress, insomnia, depression, muscle spasms. Relaxed, happy, sleepy, euphoric. Pain, insomnia. Relaxed, happy, euphoric, uplifted, focused. Stress, depression, insomnia, nausea. Relaxed, euphoric, happy, focused, uplifted. Stress, pain, depression, inflammation, nausea. Happy, relaxed, euphoric. Pain, stress, depression, lack of appetite. Euphoric, happy, energetic, uplifted, creative. Stress, pain, depression, fatigue. Relaxed, sleepy, happy, euphoric, hungry. Pain, insomnia, stress, depression, inflammation. Relaxed, happy, creative, sleepy, uplifted. Pain, stress, lack of appetite, insomnia. Relaxed, sleepy, euphoric, happy. Insomnia, stress, pain. Happy, relaxed, focused, euphoric, uplifted. Stress, pain, depression, inflammation, muscle spasms. Relaxed, sleepy, hungry, uplifted, creative. Stress, insomnia, pain, muscle spasms, depression. Uplifted, euphoric, relaxed. Depression, anxiety, stress. Relaxed, happy, sleepy. Stress, insomnia, fatigue, muscle spasms. Relaxed, euphoric, sleepy. Pain, stress, inflammation. Happy, relaxed, euphoric. Stress, pain, depression. Relaxed, happy, euphoric, uplifted, sleepy. Insomnia, pain, stress, eye pressure, fatigue. Relaxed, happy, euphoric. Depression, anxiety. Sleepy, relaxed, happy. Pain, insomnia, muscle spasms, nausea. Cannabis sativa plants in full bloom. Effect: Stimulating, energetic, uplifted. Fatigue, depression. Relaxed, focused, energetic, uplifted, euphoric. Stress, fatigue, pain, headaches. Happy, uplifted, euphoric, energetic, creative. Stress, depression, fatigue, muscle spasms. Happy, uplifted, relaxed, creative, euphoric. Stress, depression, nausea, muscle spasms. Relaxed, uplifted, happy, energetic, focused. Pain, stress, inflammation, depression, nausea. Uplifted, energetic, euphoric. Depression, stress, focus. Happy, uplifted, energetic, euphoric. Stress, depression, pain, nausea, fatigue. Relaxed, happy, talkative, energetic. Depression, stress, nausea, pain, eye pressure. Happy, energetic, uplifted, focused, euphoric. Stress, fatigue, pain, depression. Euphoric, uplifted, happy. Depression, fatigue, anxiety, inflammation, spasticity, muscle spasms. Relaxing, uplifted, euphoric. Stress, focus, inflammation. Relaxed, euphoric, uplifted, happy, sleepy. Stress, depression, pain, insomnia, fatigue. Happy, euphoric, relaxed, energetic, uplifted. Stress, pain, depression, headaches, fatigue. Focused, uplifted, energetic, creative, happy. Nausea, cachexia, tension, muscle spasms. Energetic, chatty, uplifted, creative. Depression, tension, anxiety. Happy, uplifted, euphoric. Anxiety, depression, fatigue, stress. Happy, energetic, uplifted, euphoric, creative. Stress, depression, pain, fatigue, headaches. Happy, relaxed, uplifted, euphoric, giggly. Stress, fatigue, depression, nausea, insomnia. Relaxed, happy, uplifted, creative, giggly. Stress, depression, fatigue, eye pressure, pain. Happy, euphoric, hungry, uplifted, euphoric. Stress, depression, insomnia, lack of appetite, pain. Happy, uplifted, creative, energetic, focused. Cramps, spasticity, depression, fatigue. Electric, uplifting, energetic. Focus, motivation. Uplifted, happy, energetic, creative, euphoric. Stress, pain, fatigue, headaches, depression. Uplifted, euphoric, energetic, happy, creative. Stress, pain, fatigue, headaches, depression. Euphoric, tingly, uplifted, relaxed, happy. Stress, pain, depression, headaches, muscle spasms. Energetic, relaxed, happy, uplifted. Stress, pain, depression, fatigue, insomnia. Happy, euphoric, creative, uplifted, relaxed. Stress, depression, pain, nausea, lack of appetite. Energetic, happy, euphoric, uplifted. Pain, stress, headaches, inflammation, muscle spasms. Happy, relaxed, focused, euphoric, uplifted. Stress, depression, pain. Euphoric, energetic, uplifted, happy. Stress, pain, depression, fatigue, lack of appetite. Euphoric, relaxed, talkative, uplifted. Stress, anxiety, depression. Euphoric, relaxed, energetic, creative, uplifted. Pain, lack of appetite, stress, depression, inflammation. Effect: Relaxed, uplifted, hungry, euphoric. Stress, pain, depression, insomnia, lack of appetite. Relaxed, uplifted, creative, euphoric. Fatigue, stress, focus. Relaxed, uplifted, focused, happy, euphoric. Fatigue, stress, pain, headaches, depression. Relaxed, uplifted, euphoric, dreamy. Depression, anxiety, stress. Relaxed, uplifted, talkative. Stress, depression, anxiety. Happy, energetic, uplifted, energetic, relaxed, focused. Stress, depression, fatigue, pain, inflammation. Relaxed, happy, uplifted, focused. Pain, stress, inflammation, muscle spasms, depression, anxiety. Relaxed, uplifted, dreamy. Stress, anxiety. Relaxed, uplifted, creative, euphoric, sleepy. Stress, pain, depression. Happy, uplifted, euphoric, relaxed, energetic. Anxiety, depression, pain, stress, fatigue, inflammation. Happy, uplifted, relaxed, euphoric, creative. Stress, depression, cramps, nausea. Relaxed, uplifted, creative, focused.. Anxiety, depression, stress. Should you decide to grow one of the above yourself, please take genetics and the environment you’re growing in into account. A sativa strain from equatorial regions will likely not grow so well in a small grow tent in the middle of North America or a wet and windy country in Europe. Also take into account the sort of environment the breeders get their seeds from, as this means that the seeds they grow will likely be “conditioned” to grow in that environment. Approximating the environment that the cannabis strain comes from in your own grow room is the way to get the best out of your cannabis plant. Most of the bigger seed breeders are from the USA, Canada, Spain, Portugal, Holland and the United Kingdom, although there are some from other parts of the world as well. 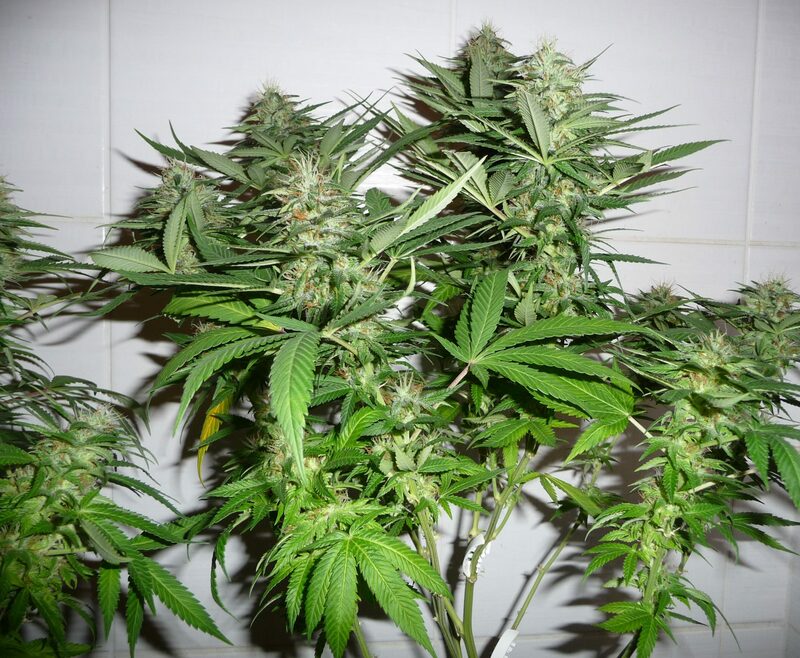 Generally speaking, a hardy hybrid that can be grown indoors or outdoors and has a flowering time of 10 weeks or less are the most forgiving of mistakes is best for a beginner. Indeed, even the best breeders use such strains as a backbone for their own breeding projects due to their stability and ability to withstand diseases! As far as using any one of the above strains, we would recommend vaporizing and tinctures most as it gives the most direct and controllable method of ingestion. Edibles and “dabbing” of concentrates are fine for medical use, but we would recommend to ingest using these methods in small amounts, as well as slowly and at longer intervals, due to the fact that they produce much stronger effects. Many companies that focus on making medicinal products tend to make tinctures, due to ease of titration and its ability to be used by almost anyone, young or old. Of course, strain names don’t tend to make much difference when it comes to such products, as they’re looking at making specific cannabinoid-terpenoid profiles (which is arguably the case for the strains as well, but their greater variability makes this less of a factor).